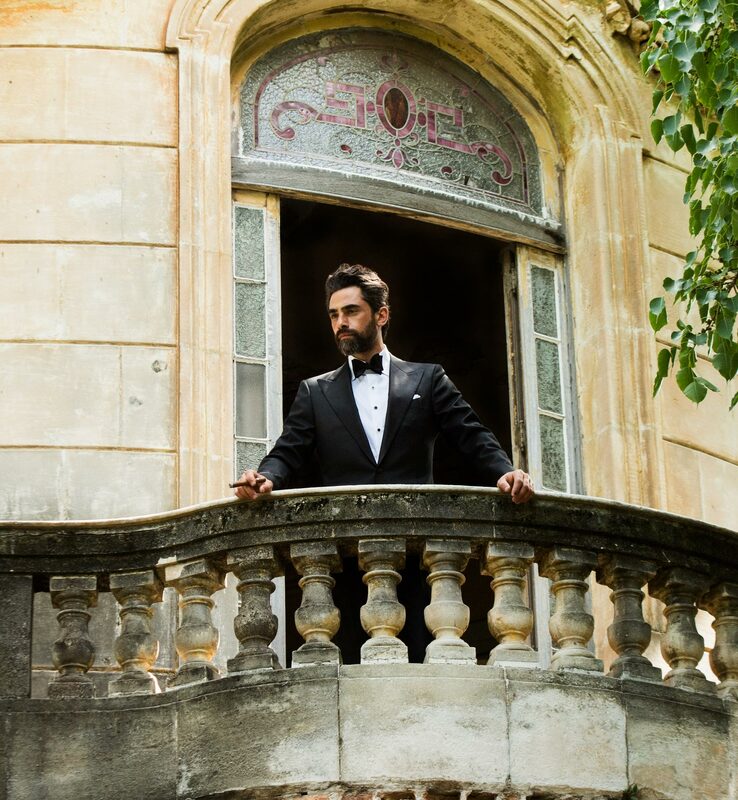 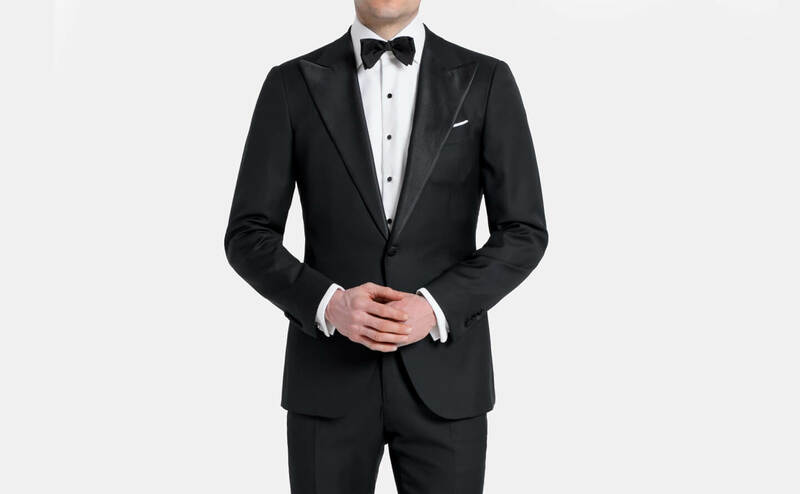 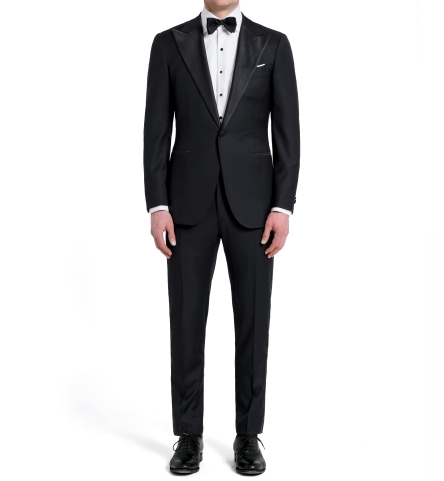 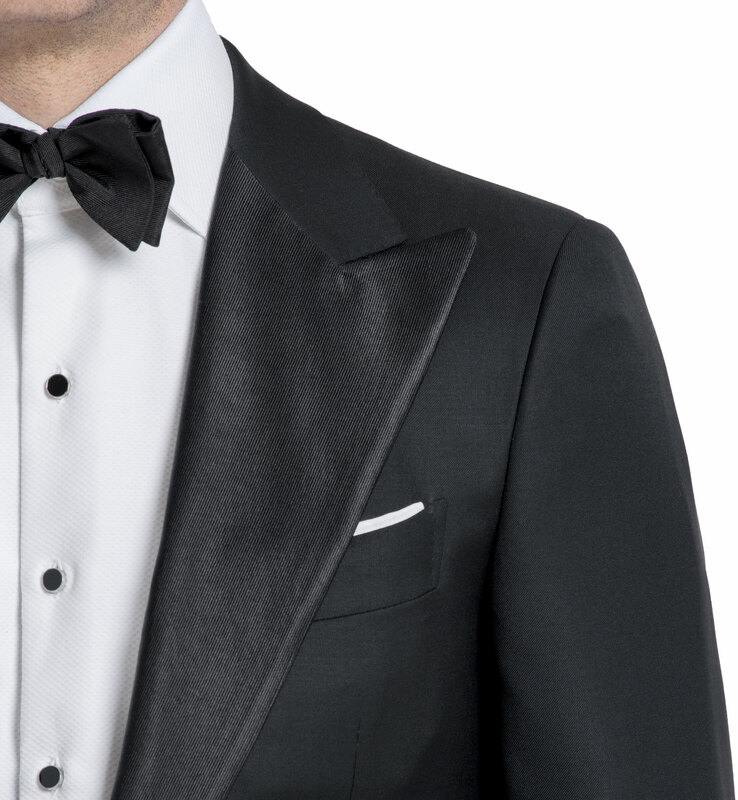 An elegant and luxurious black tie option for when you need to look your absolute best. 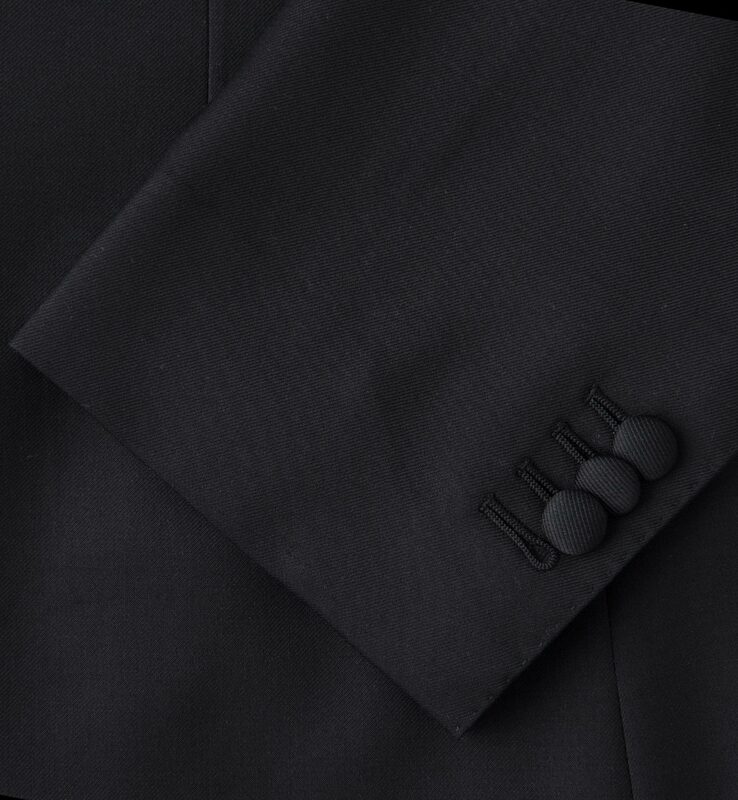 The Madison Tuxedo is fully canvassed and cut using soft S110's merino wool from the renowned Italian mill, Vitale Barberis Canonico. The 4.25" grosgrain peak lapels, lightly padded shoulders, and single-button front create clean, masculine lines. 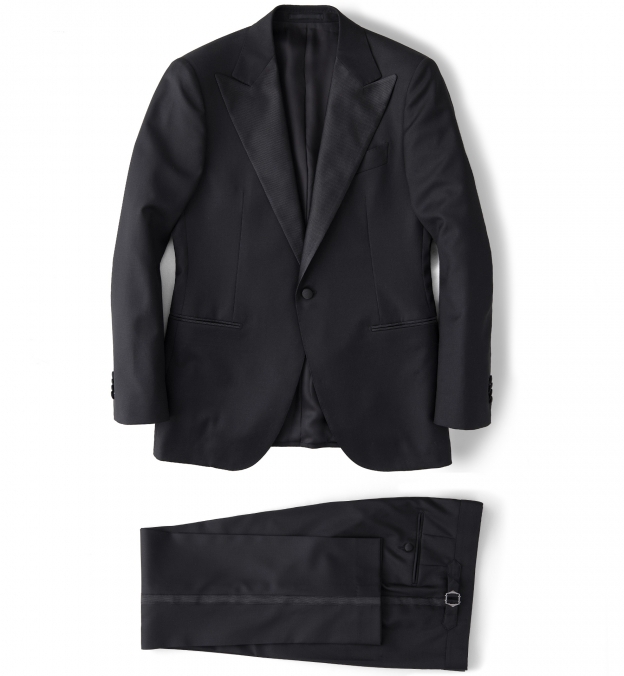 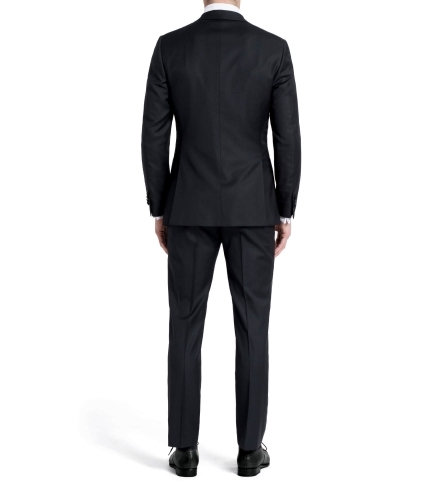 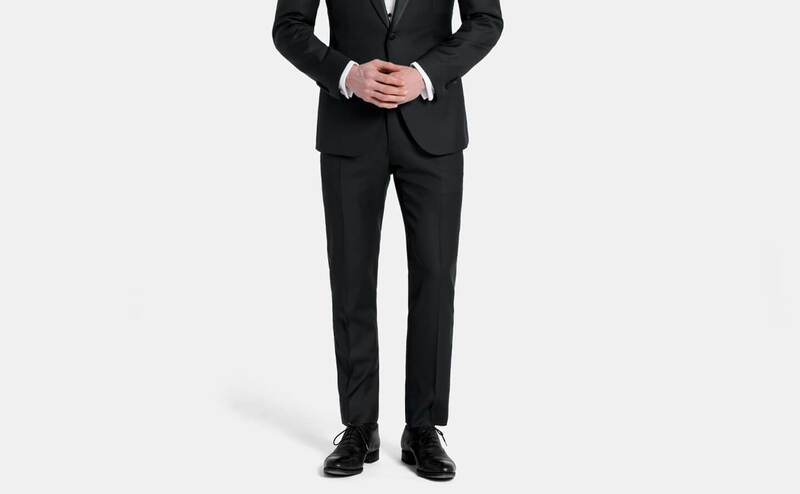 Flat front trousers with grosgrain striping and side tabs complete this timeless tuxedo. 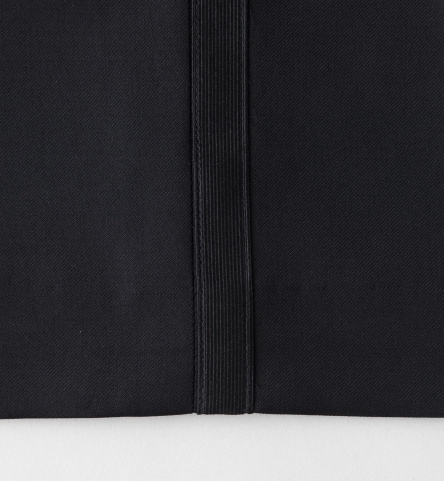 A hand-sewn, floating canvas runs the entire length of the jacket front and allows it to drape smoothly. 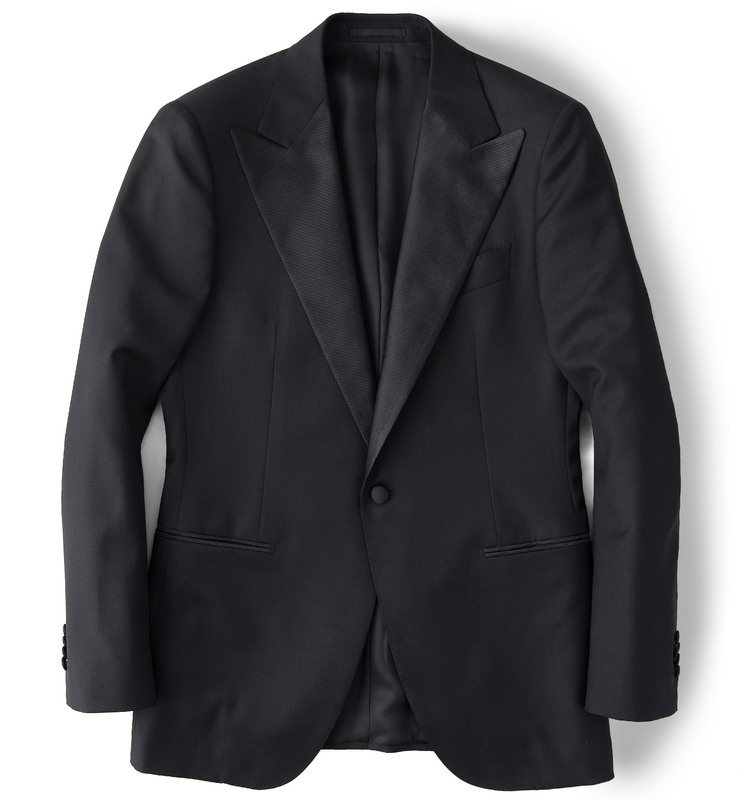 Light padding in the shoulder provides structure to the jacket yet wears comfortably. 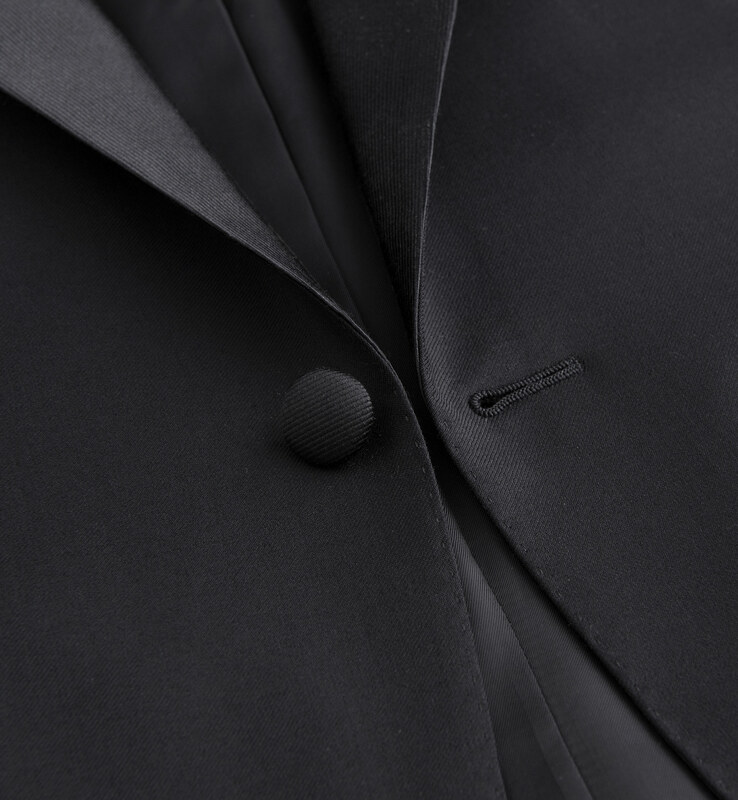 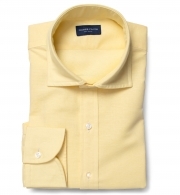 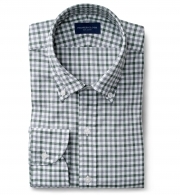 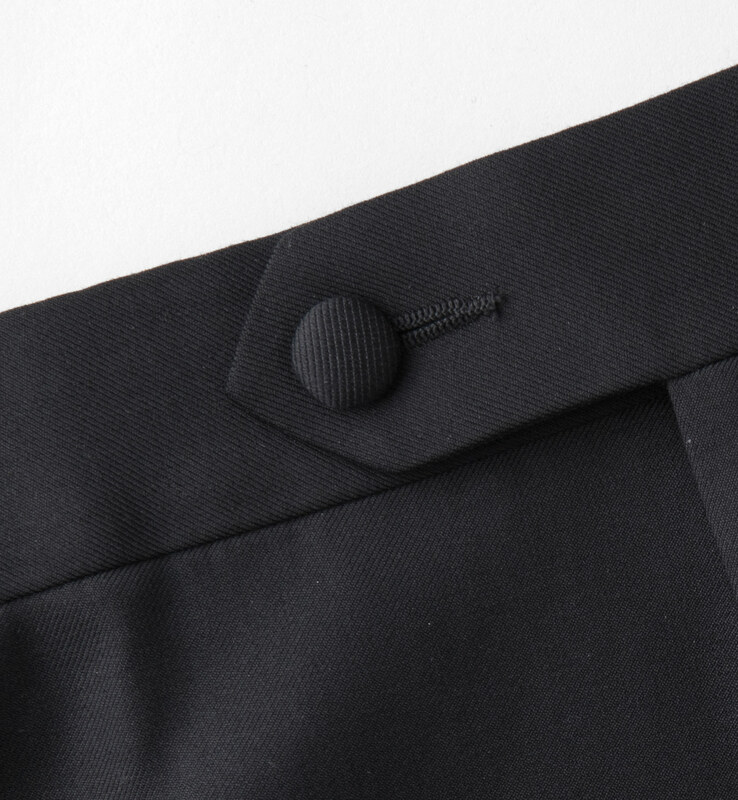 Functioning sleeve buttons reflect a high attention to detail and finishing in a quality garment. 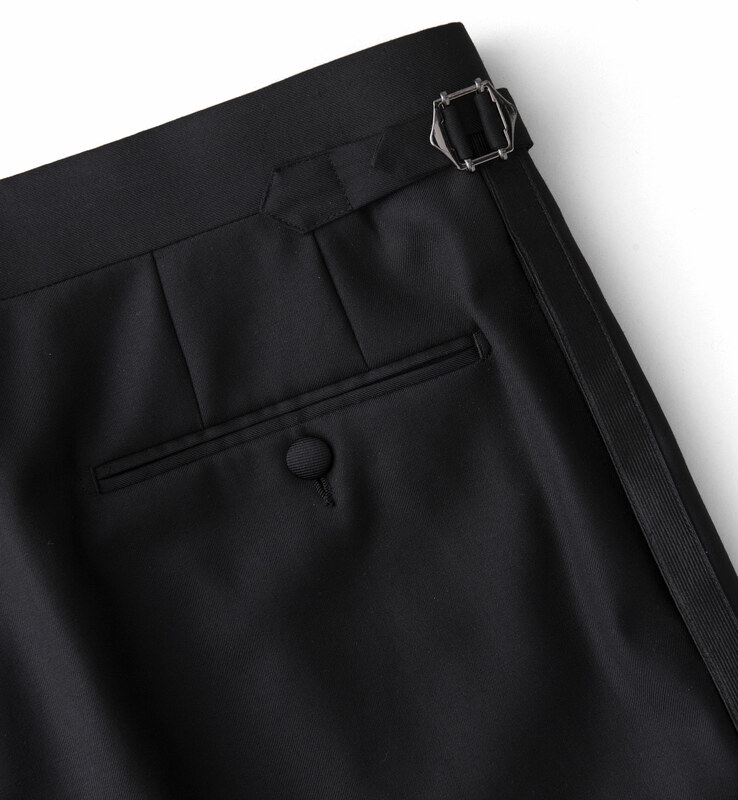 Functional side tabs keep these trousers secure at your waist. 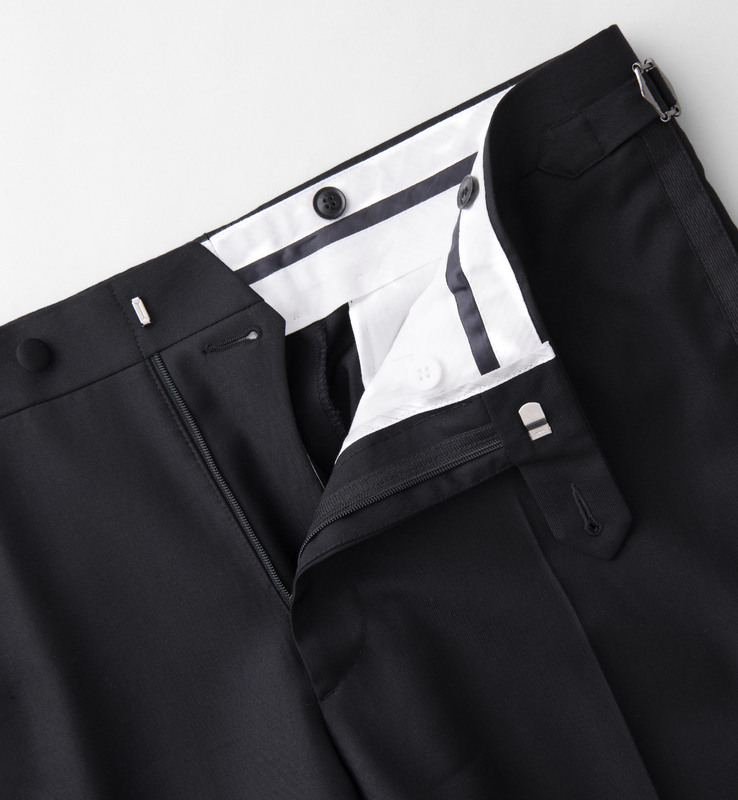 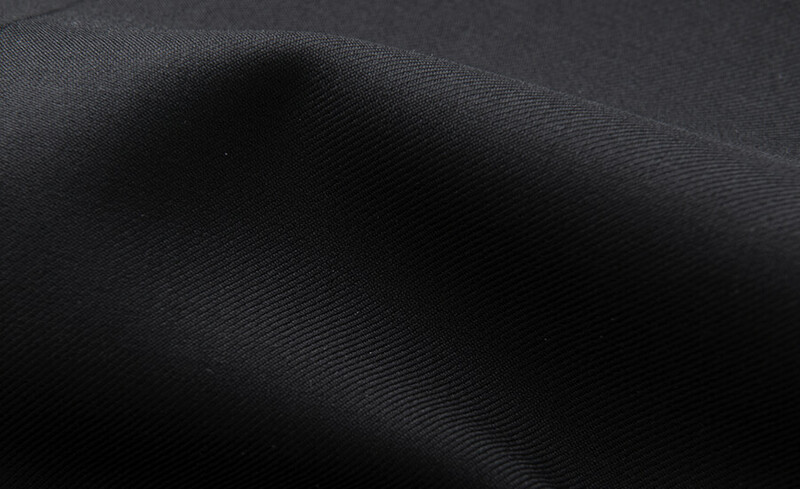 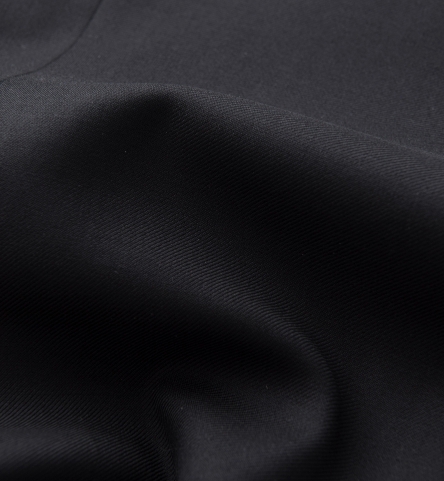 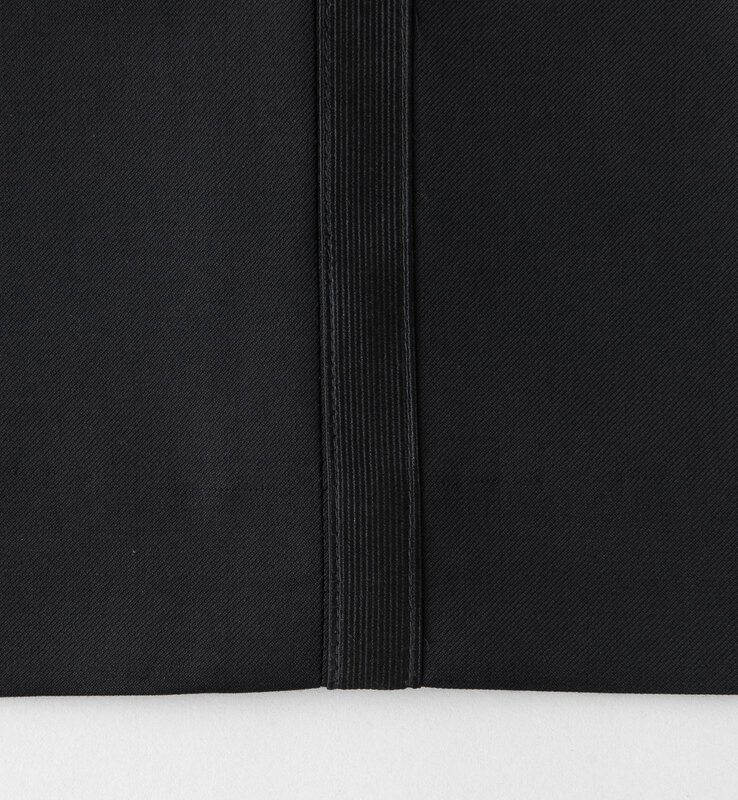 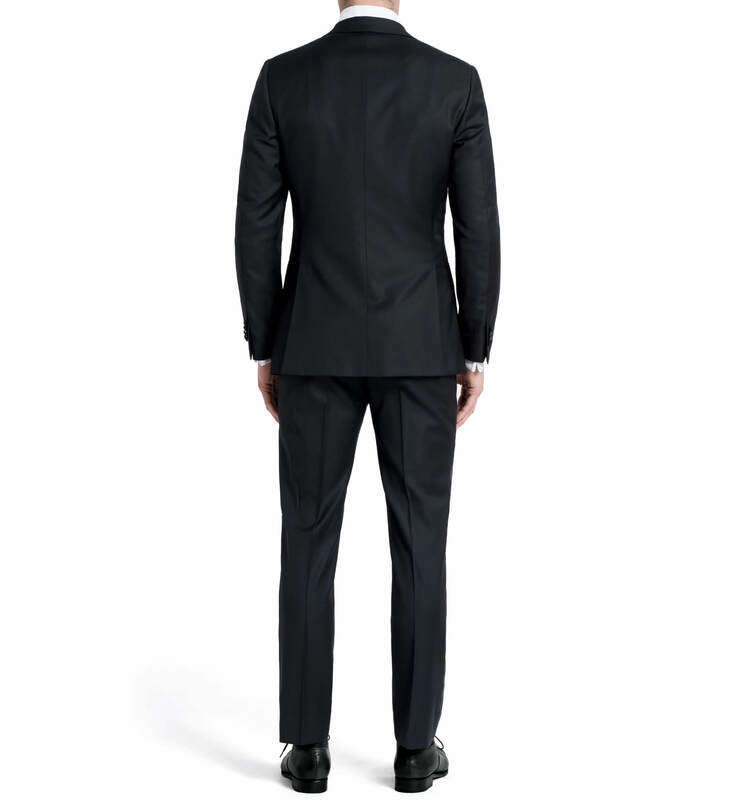 The plain hem on these trousers provides a clean finish to our tuxedo. 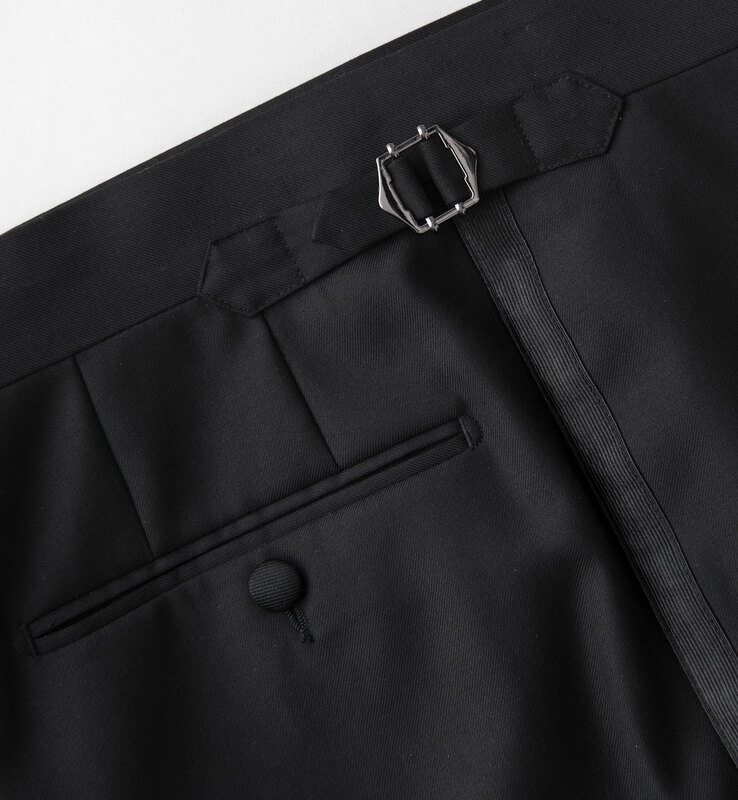 A curtained waistband helps to protect the internal sewing of the waistband and gives the lining a beautiful appearance. A flat front (unpleated) design with grosgrain striping gives these trousers a timeless appeal.